Rev. Bob Lyon (ret.) passed away Friday, April 29th. Please keep his wife Sara, son Mark and family in your prayers. The Celebration of Life will be at 10:00am Saturday, May 14 here at St. Andrew’s. Robert Jay Lyon was born September 14, 1926 in Eagle River, Wisconsin, the only son of Eber Blakemon Lyon and Lucile Garvin. Early years were spent in a log cabin on his Uncle Frank Garvin's farm in Hannibal, Wisconsin. Most of his high school years were in Lake Geneva, Wisconsin where he was active in the Boy Scouts. He graduated from Lake Geneva High School in May, 1944. He enlisted in the navy and was stationed at Great Lakes Navy Pier in Illinois where he attended Radio School. A serious attack of asthma put him in sickbay and he was given an Honorable Discharge as a Seaman First Class in June 1945. When Bob’s parents decided to move to Tacoma, Bob came along and enrolled in the College of Puget Sound. The first Sunday in September his mother, a Methodist minister's daughter scanned the ads for the closest Methodist church and decided it was Bethany Methodist on the south side. Bob and his mother were warmly welcomed by the pastor and his wife and Bob was invited to the MYF that was meeting that evening at the parsonage. When they learned that Bob would be attending CPS the pastor's wife quickly introduced him to Sara Jeanne Mather, their organist who was beginning her sophomore year at UPS. It was the beginning of a romance that lasted for 70 years. Bob graduated from the College (now University) of Puget Sound in 1949, with honors, with majors in Philosophy and Drama. He was a member of the Campus Playcrafters – not as an actor but as stage manager. Meanwhile Sara and Bob had become 'a couple' and were married at Bethany Methodist April 20, 1949. Bob then attended Garrett Evangelical Seminary in Evanston, Illinois, and during his schooling also served 3 small churches in rural Indiana in the Northwest Indiana conference. 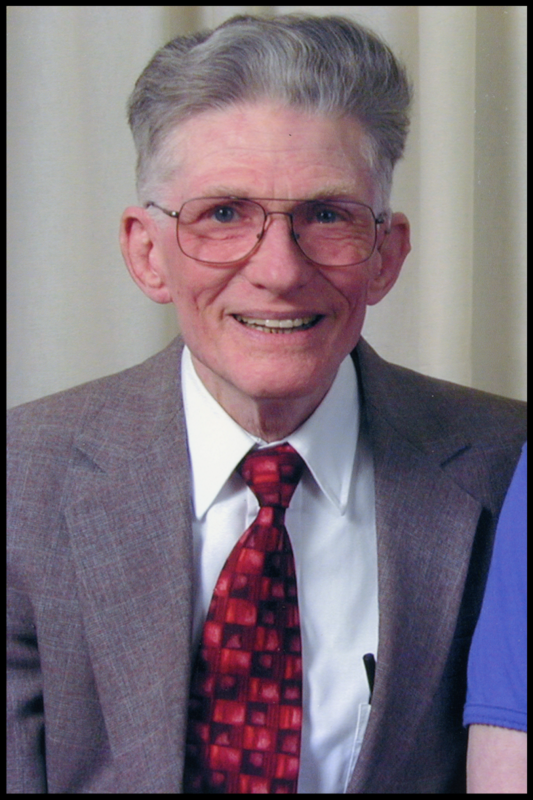 He graduated from Garrett in spring of 1953 and in June he was ordained Elder in the Northwest Indiana Conference. Bob and Sara packed up to return to Washington and his credentials were then transferred to the Pacific Northwest Conference. Bob served Redmond where their son Mark Spencer Lyon was born in 1955; Okanogan and Malott; Stanwood, Tacoma St. Paul's; Camas; Spanaway and Eatonville. He retired in 1991. Several times he was appointed to a church to help heal troubled waters. His special interest was church camping and he served many years on the Conference Camping Commission. Bob remained fascinated by radios (and later, computers) and earned his amateur radios license. When he retired he became active with the Olympia Radio Society renewed his radio license certifications (call -AA7YD) but was more interested in equipment and antennas than talking on the radio (he left that to Sara). Bob is survived by his wife of 67 years, Sara Lyon, and his only child, Mark Lyon.